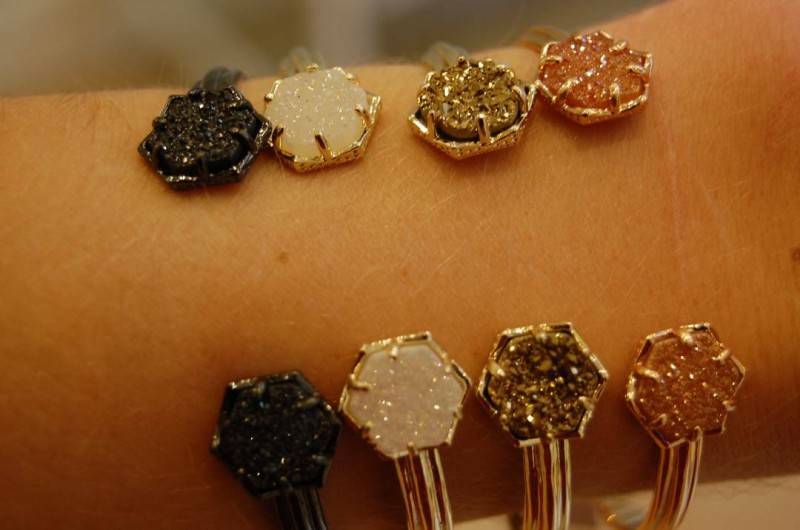 Druzy jewelry is gorgeous and sparkling, not to mention different than what a person is accustomed to seeing on a bride. 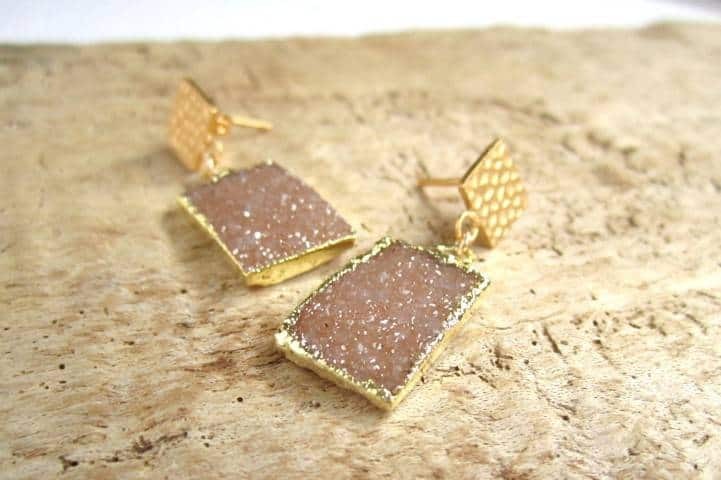 Glittering crystals encrusted over a gemstone or mineral, druzy jewelry is not only beautiful, but it’s more affordable than most gemstone jewelry. If you haven’t considered the beauty of druzy as wedding accessories, check out these gorgeous pieces and let us know what you think. These beautiful quartz druzy earrings set in gold are feminine, pretty and perfect for a wedding day accessory. We believe they are classy as well as being unique, and they’re a great accessory for a winter wedding. 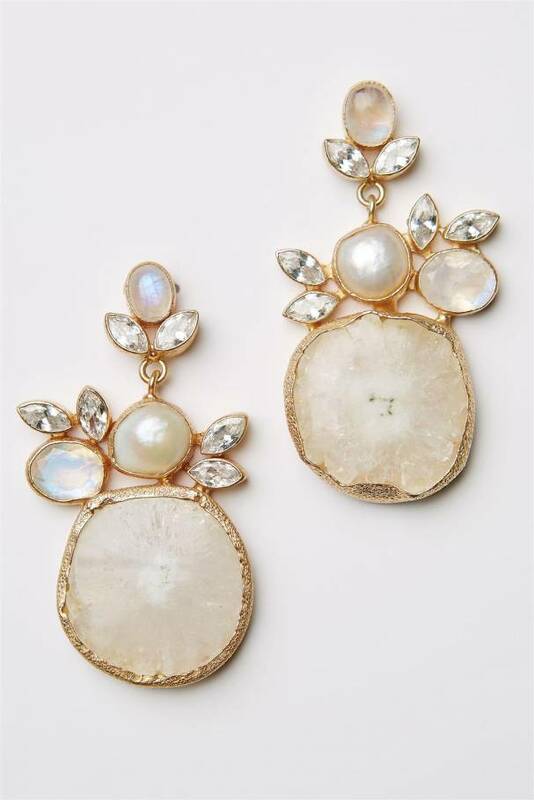 Another perfect pair of druzy earrings, these feature a more classic wedding look, with pearls and shimmering gold as well as cubic zirconias. These Arden bracelets from Strathard are quite charming, and the sparkle in the stones really catches the eye! A stunning necklace with druzy elements, this one is perfect for a vintage wedding theme! 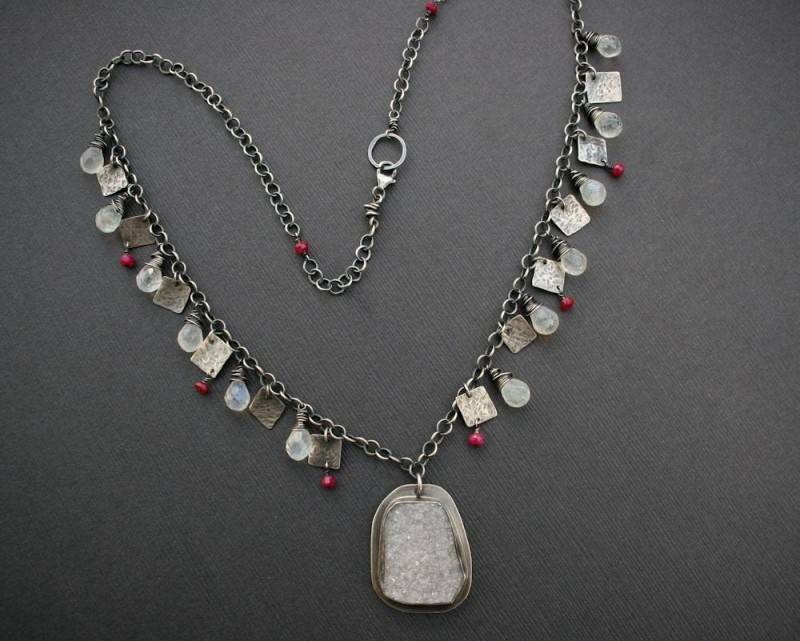 The metal color is muted and beautiful without being ostentatious. 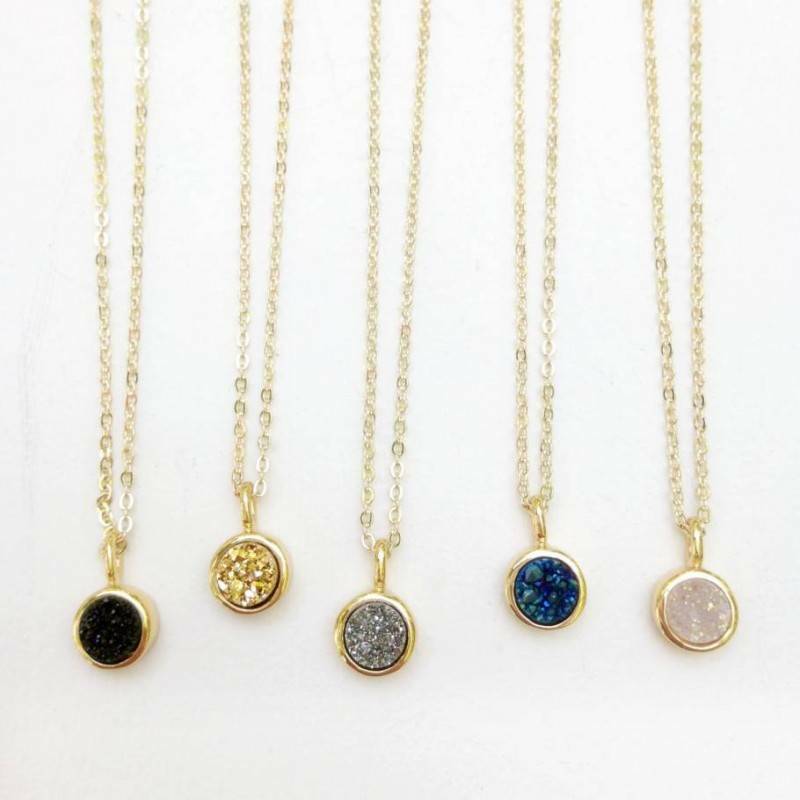 So, what do you think about the druzy jewelry? Is it something you would wear for your wedding day or would you skip this look for something a little more traditional and sparkling? Share your thoughts with us in the comments box below!